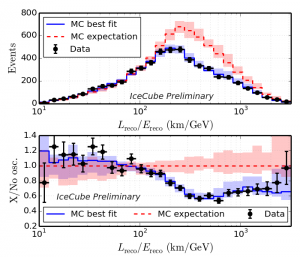 In a previous post, Marcos Santander wrote about a paper he and other IceCubers were working on looking for the shadow of the Moon in cosmic rays raining down on Earth. Now that paper has been published! 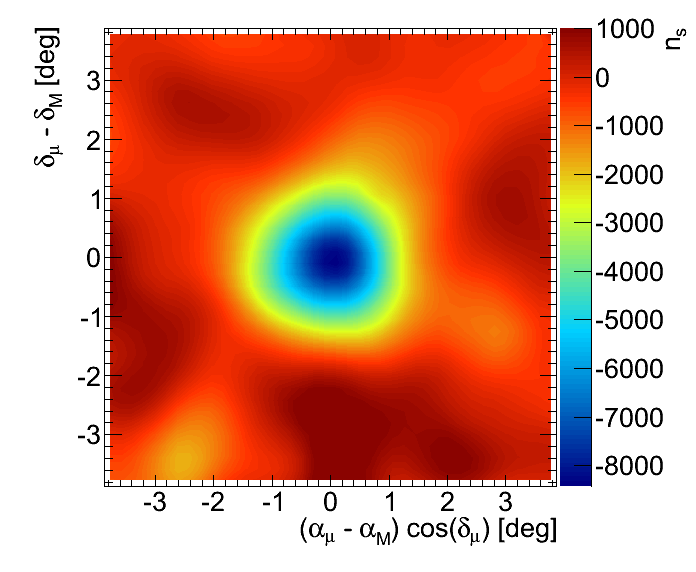 The shadow of the Moon as was observed with the 59-string configuration of IceCube. It’s always funny adding the language of modern statistical significance to discussions like this, because they make it sound rather absurd (at least using the frequentist school of statistics). We talk about the random probability that a null (boring) hypothesis could produce the same signal, so smaller probabilities are more significant, and we talk about those probabilities in terms of the area under a “normal” or “gaussian” distribution, measured in the width sigma of that gaussian. A 2-sigma result is farther out in the tail of the gaussian, and less likely (so more significant) than a 1-sigma result. 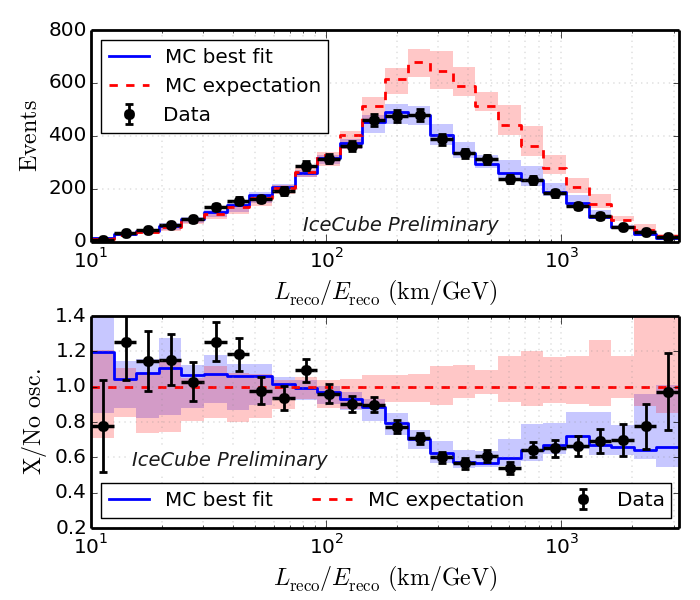 We’ve arrived at a convention in particle physics that when your data reach 3-sigma significance, you can call it “evidence,” and when they reach 5 sigma, you can call it “discovery.” That’s purely convention, and it’s useful, although scientists should know the limits of the terminology. That leads to absurd sounding lines like “IC22 has seen evidence of the Moon, while IC40 and IC59 have discovered it.” This is, technically, correct. 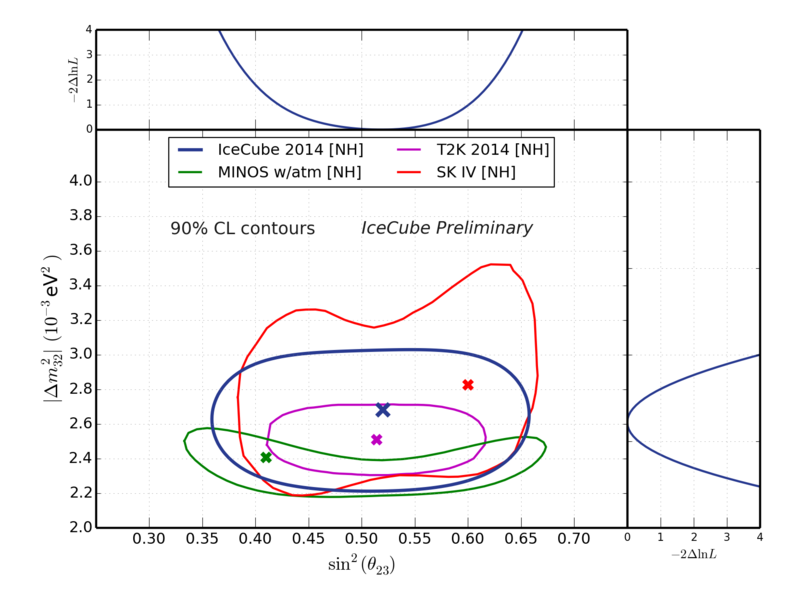 What we’re really discovering here, though, is not that the Moon exists but that the IceCube detector works the way we expect it to. Another consideration demonstrated by this paper is that it takes a long time to get a paper through the publication process. Now that the whole process is completed, we can celebrate. 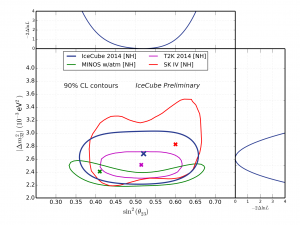 I’ve been following this analysis since I started working on it for my masters thesis, then handed it off to other IceCubers while I switched to neutrino oscillations. Do any of you have stories of long review processes? Does anyone have a favorite other experiment that has looked at the Moon shadow?